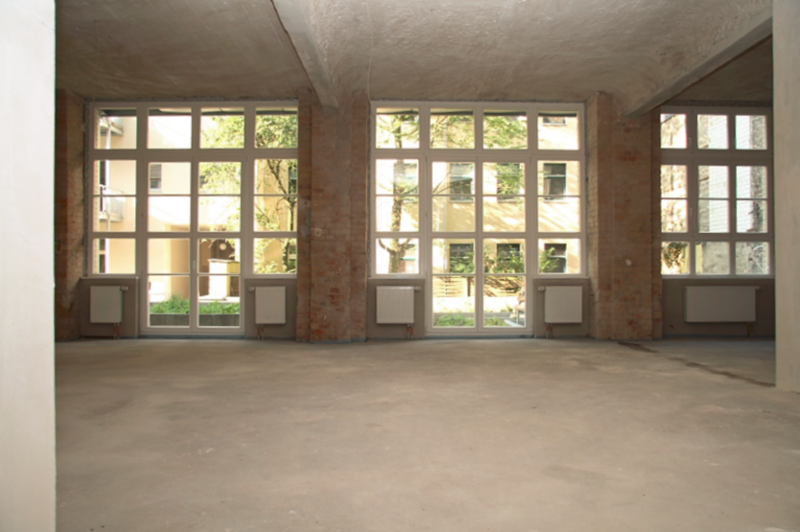 The general building refurbishment has kept its original features such as the glazed Brick facade and internally the exposed concrete ceilings and brick pillars. 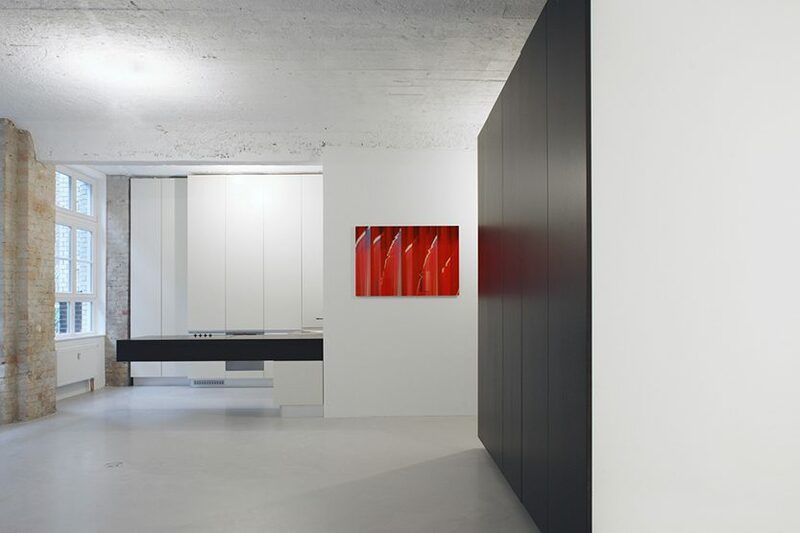 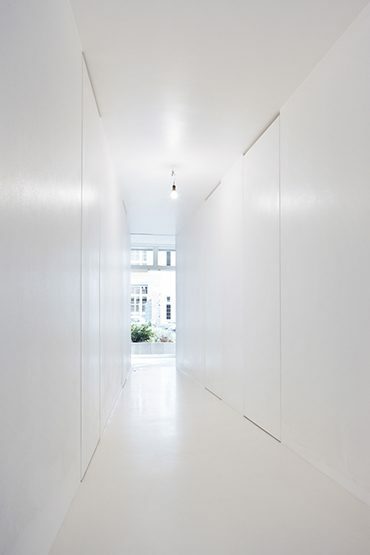 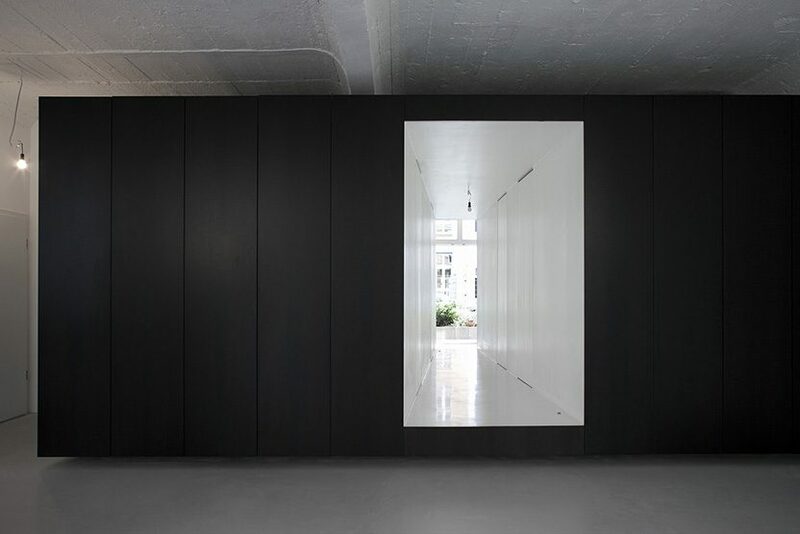 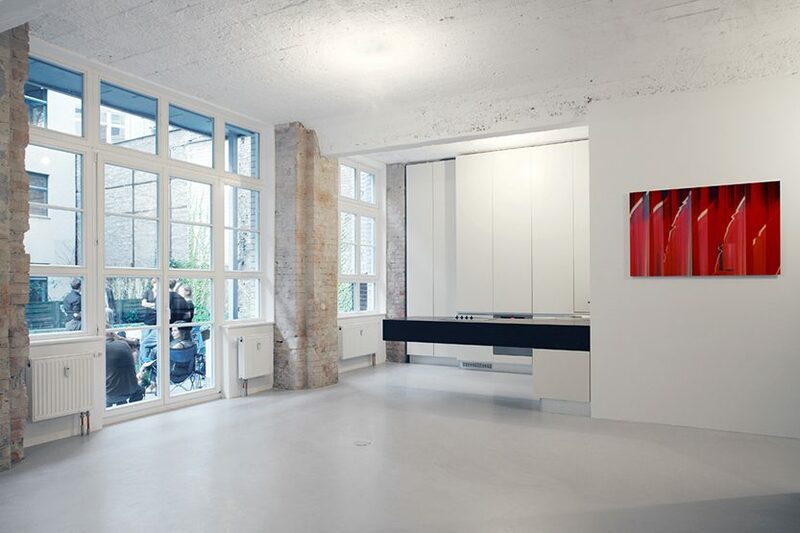 Our approach for the studio was to create a minimal intervention which keeps the feeling of one large space as well as creating a functional “sculpture” rather than adding traditional rooms. 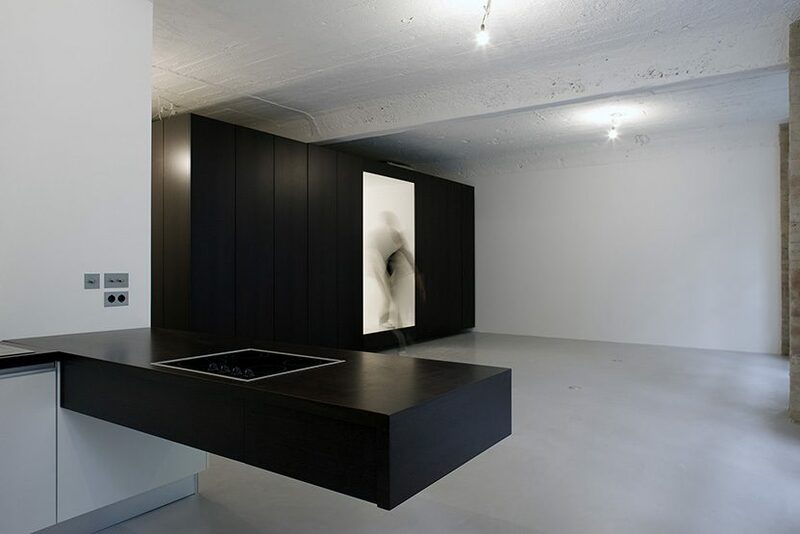 The “sculpture” acts as a dividing element between the large studio space at the front and the more intimate room at the back. 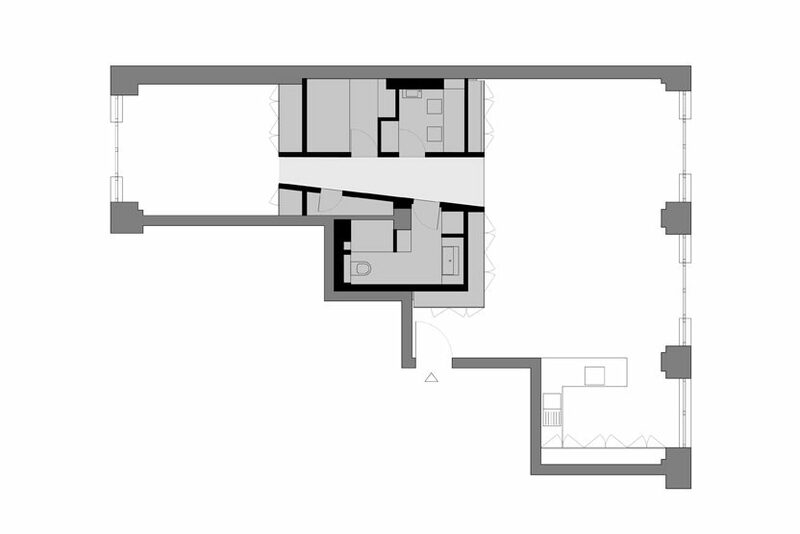 Both spaces have full height glazing and doors to 2 different courtyards, highlighting these 2 different qualities of the spaces. 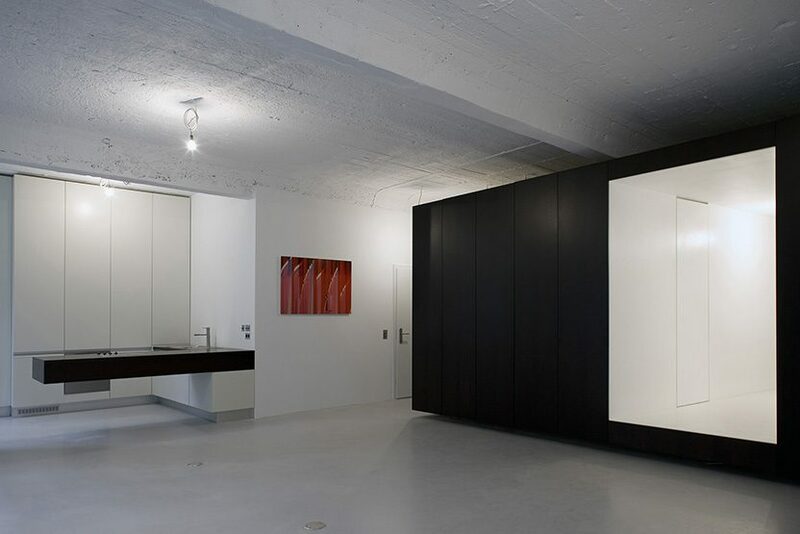 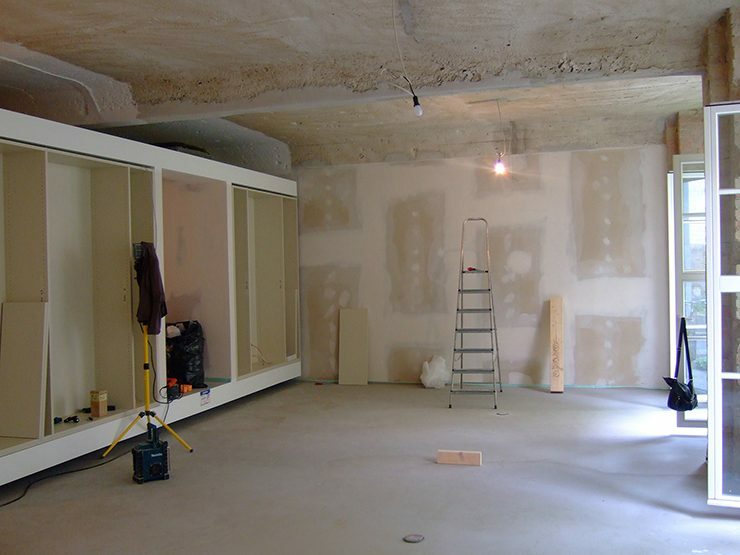 In order to retain the feeling of the studio being one space, the dividing “sculpture” floats in the space and the ceiling is expressed like one continuous element. 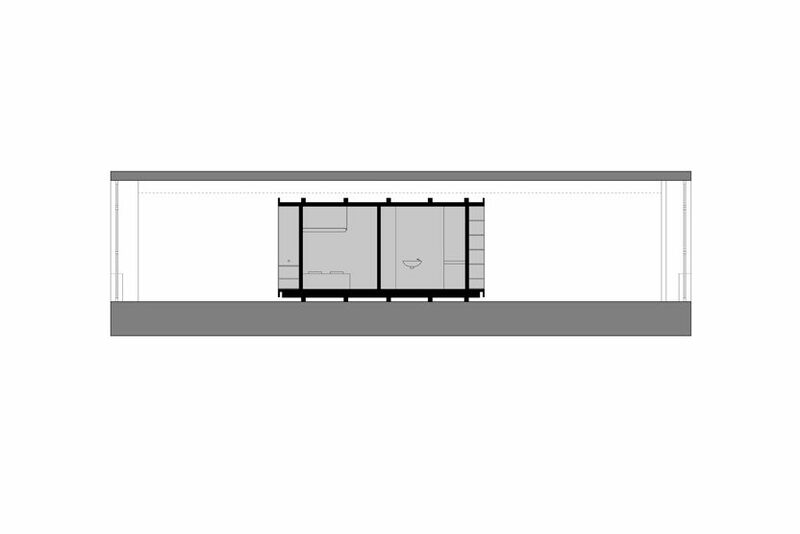 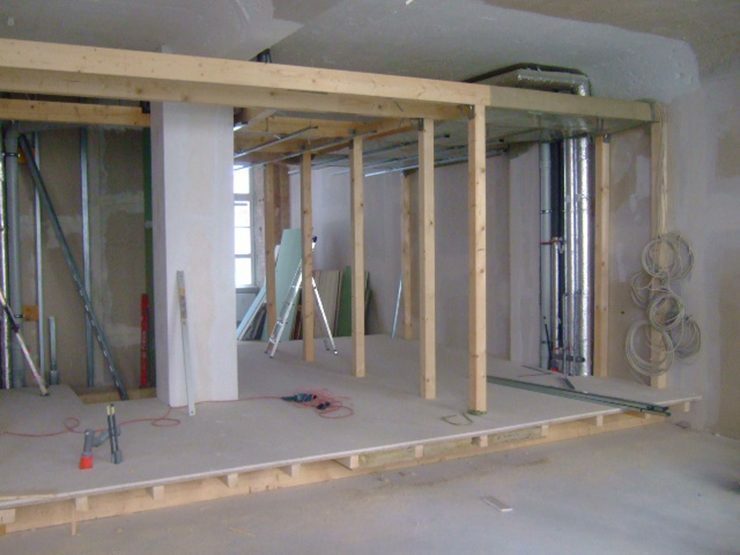 The “sculpture” has one distinctive angled cut which leads into the back space and serves 4 rooms with functions such as bathroom, bedroom, workshop and storage. 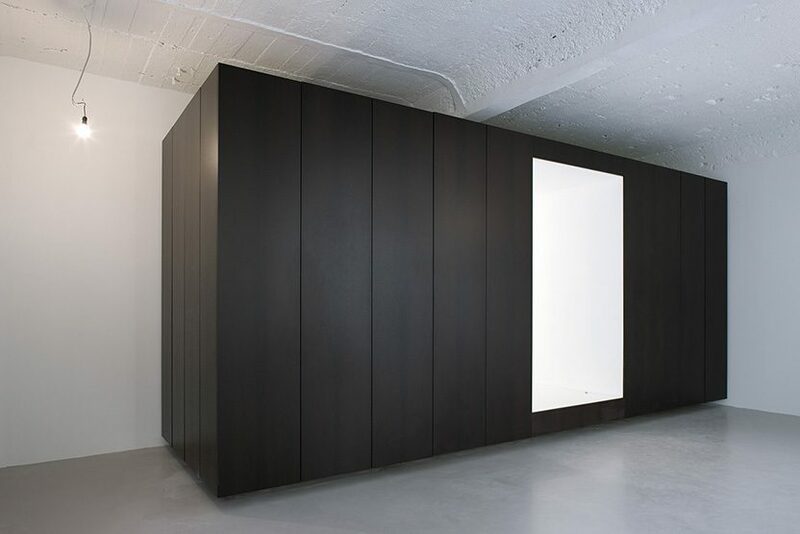 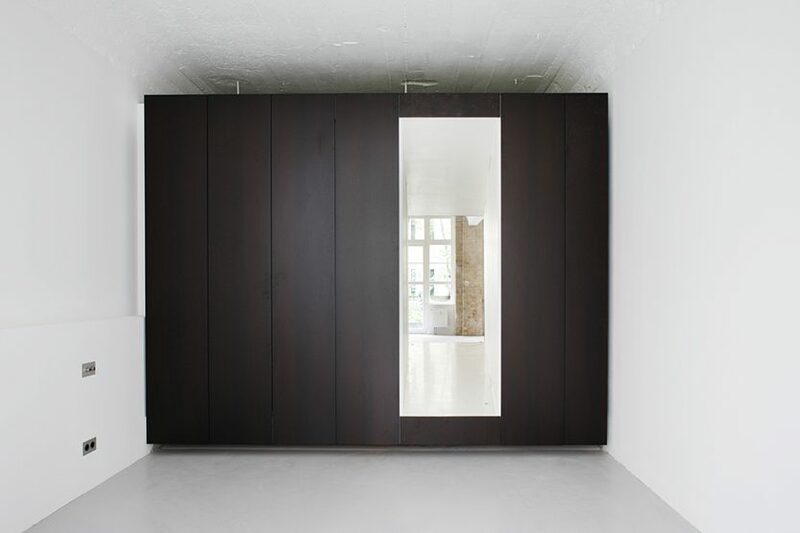 The “sculpture” is clad with full height doors from a dark Wenge which are covering storage cupboards all around the whole element. 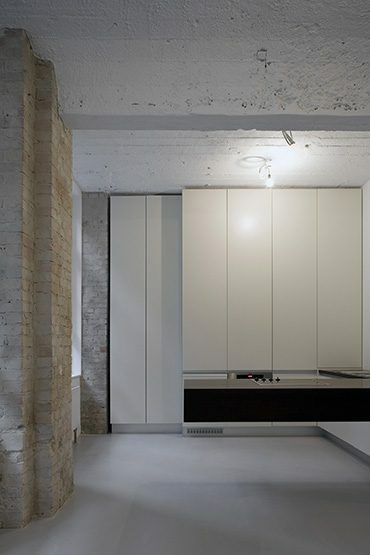 Within the large studio space there is a kitchen area which also has been designed to fit within the whole approach to have minimal impact of the original space.